Payaya is a tropical fruit shaped like an elongated melon, with edible orange flesh and small black seeds. It has smooth skin, green color when raw and changes into orange when it is ripe. 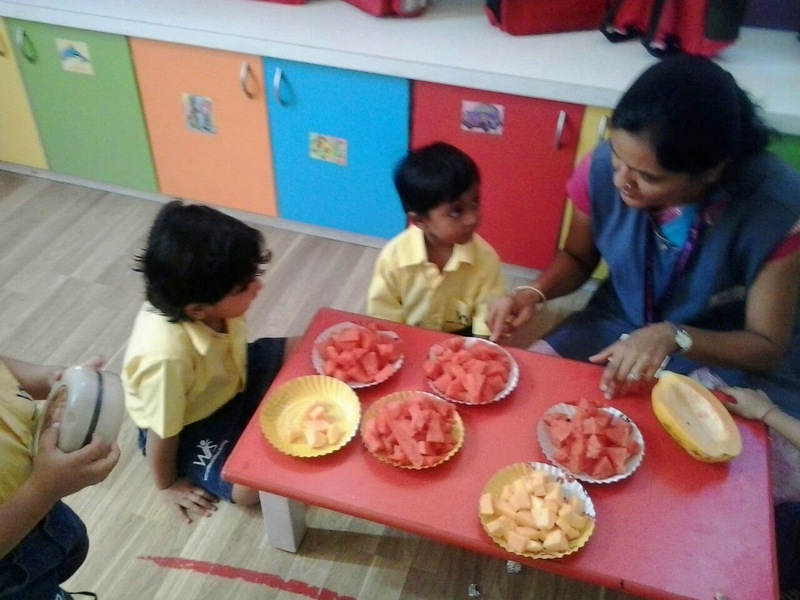 The tiny tots were introduced to papaya with a lot of exciting activities. The kids learnt that , the skin cannot be eaten you have to peel the papaya before we eat it. It is soft and orange inside. The toddlers did the little finger painting within the papaya outline with yellow color. They tasted the fruit also. 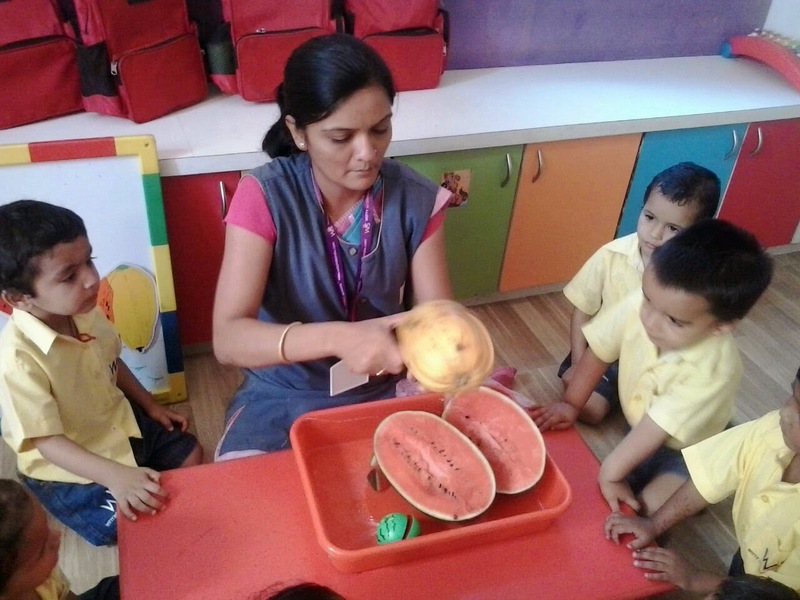 Through this activity, they could recognize the fruit papaya.